Alderman At-Large – William A. White Jr. 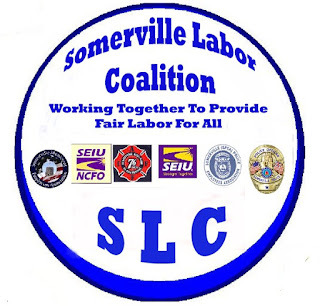 The SLC is comprised of Somerville Firefighters Association, Somerville Police Employees Association, Somerville Police Superior Officers Association, Somerville Municipal Employees Association, Somerville Dispatchers Local 888 SEIU and NCFO Local 3 School Custodians. 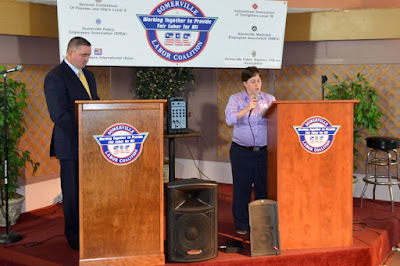 Candidates running for School Committee will have an opportunity to speak in front of SLC members at a later date according to the organization. Currently, there are races in Wards 1 and 2 with incumbents running unopposed in Wards 3, 4, 5, 6 and 7. On a personal note, I was honored to receive this endorsement when I served and ran for Ward 5 Alderman in 2013. I look forward to seeking their support when I run again in the future. I'd rather have elected officials that work for the people than work for organized labor. When you run again in the future???? I hope that's true!!!! !